Shadow Hills Golf Course. Golf Shadow Hills Indio. Shadow Hills golf course details and information about Shadow Hills Golf Club in Indio, California. 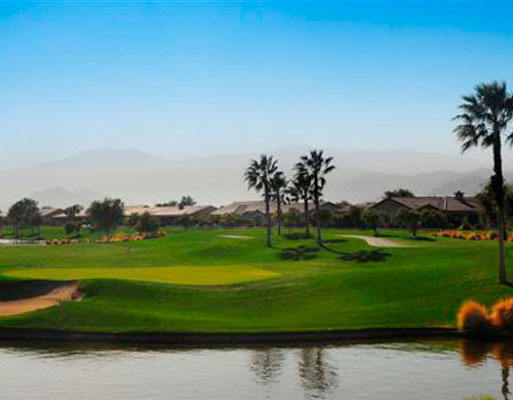 Shadow Hills Golf Club in Indio California offers two public, 18-hole, championship golf courses. The mountains provide a beautiful view on both the North Course or on the South Course. The desert landscape makes golf at Shadow Hills a perfect setting to spend the day. Rolling hills and billiard greens make every day on this course amazing. In addition to the Indio Shadow Hills golf courses, the club also offers a practice facility. This facility includes two tee levels, a short-game practice area, and a private practice area. The facility welcomes group and one-on-one lessons with staff. Enjoy this course to improve your game or to enjoy daily play with friends. For details on a public golf course in nearby Palm Desert, check out Palm Desert Country Club.